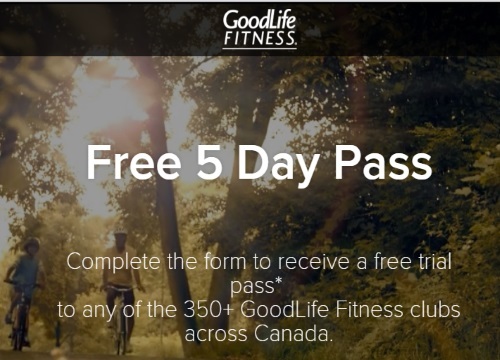 Goodlife Fitness is offering a Free 5 Day Pass to try out their facilities right now! Complete the form at the link below to receive a free trial pass to any of their 350+ locations across Canada. An Associate will reach out to you by phone to invite you in for a tour and activate your pass. Pass only valid for people who have not been a Member of GoodLife Fitness in the last 12 months. The Free Trial Pass is good for 5 visits over seven days for an individual guest. Pass is limited to one per person, per year.